There are several options throughout the year for seeing dance in Rome. First and foremost, the Ballet of the Teatro dell'Opera di Roma - more details below. Various touring companies also pass through the city, particularly in the summer months, when there are several outdoors dance festivals and events. In September, the RomaEuropa Festival includes dance, usually modern, and the Estate Romana summer-long events programme also has a few dance offerings. 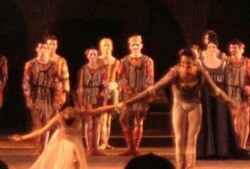 In recent summers, events have included members of the New York City Ballet performing Balanchine at the Villa Adriana, organised by the Festival Euro Mediterraneo; a Nureyev gala in the Roman theatre at Ostia Antica; and seasons of dance events offered by Invito alla Danza, with a range of performances and workshops. The Ballet of the Teatro dell'Opera di Roma performs several ballets a year in Rome. Big shows take place in the Teatro dell'Opera itself, but some ballets - often the newly choreographed pieces and those with more selective appeal - are put on in a smaller venue. Most recently this has been the Teatro Nazionale, just down the road from the main opera house. 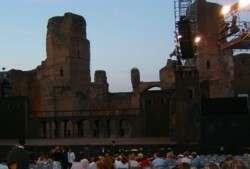 A ballet also usually forms part of the Teatro dell'Opera's summer programme which takes place outdoors in the ruins of the Baths of Caracalla. 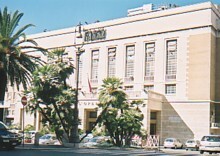 The Ballet doesn't have a particularly high international profile, and in Italy is generally placed second in status after Milan's La Scala. Celebrated ballerina Carla Fracci took over as Director in November 2000, and has worked to raise the Rome Ballet's standing, while her presence in a remarkable number of major or enlarged roles is popular with audiences and good for publicity. Audience numbers at the ballet are never likely to be as great as at the opera in Rome, but the turn-out is fairly good, and the big classic ballets can sell out. You'll probably hear a lot of English spoken in the theatre; the ballet is popular with expats and travellers. Typically a performance will run for 3-6 nights, and feature guest stars in the principal roles for the first night, followed by the company's own leading dancers. The repertoire is mixed, and includes interesting 'minor' oddities as well as a good number of new ballets by Luc Bouy and others. In the past couple of years ballets have ranged from a sold-out Sleeping Beauty (beautiful costumes and an enlarged role as Carabosse for la Fracci), to recreated historical pieces. A list of past highlights follows: the programme for forthcoming seasons can be found on the website of the Teatro dell'Opera. > Practical information about the Teatro dell'Opera in Rome: location, how to get there, how to buy tickets etc. See Teatro dell'Opera page for more details. This is one of the best things you could see performed in Rome, as it shows off all the company's strengths. The Cranko choreography with its strong individuality suits the qualities of the dancers and the production. The tragedy is affectingly interwoven with carnival colour and dash. Most of the company's leading young dancers get chances to shine in the principal roles with several girlish and delicate Juliets, and Romeos ranging from the manly to the tender. One of the stand-out performances is a superbly flashy yet moving Mercutio, danced by Riccardo di Cosmo. A strong point in Italy is the costumes. While the corps de ballet may not always be able to compete with the world's finest, the costumes and staging are always top class. This Sleeping Beauty was notable for its exquisite costumes, and for a range of good performances including Carla Fracci as a sinister Carabosse. These pieces were put on in quick succession in the secondary venue Teatro Brancaccio on via Merulana (between Santa Maria Maggiore and San Giovanni). Charmingly small-scale. The Serata Romantica included nicely-danced gems from Esmeralda, La Peri and Giselle. 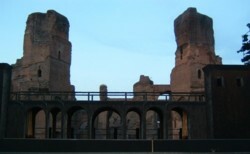 This was performed under the stars at the massive ruins of the Baths of Caracalla; a dramatic setting for a dramatic piece. A hymn to the sufferings in the Middle East, to a soundtrack of Verdi and rap, it's too political and didactic for many, and resorts at times to the over-obvious. But as a spectacle the ballet rated highly, and some of the tenderer moments were deeply moving. A very impressive evening of early 20th century excess. First was the inimitable, flamboyant, sensual Sheherezade to Rimsky-Korsakoff's dizzying score, danced on the opening night by Ilsa Liepa with Nikolai Tskiskaridze as her Golden Slave. Next came Nijinsky's Jeux, and finally Le Sacre du Printemps, both painstakingly recreated by Millicent Hodgson and Kenneth Archer. Watching Jeux was like stepping back in time, as the protagonists (including Carla Fracci and guests Alessandro Molin and Deborah Bull) flirted around the stage recreating a series of Nijinsky-esque tableaux, while Le Sacre du Printemps was brutal and disturbing enough to give some idea of why there were riots at its debut.